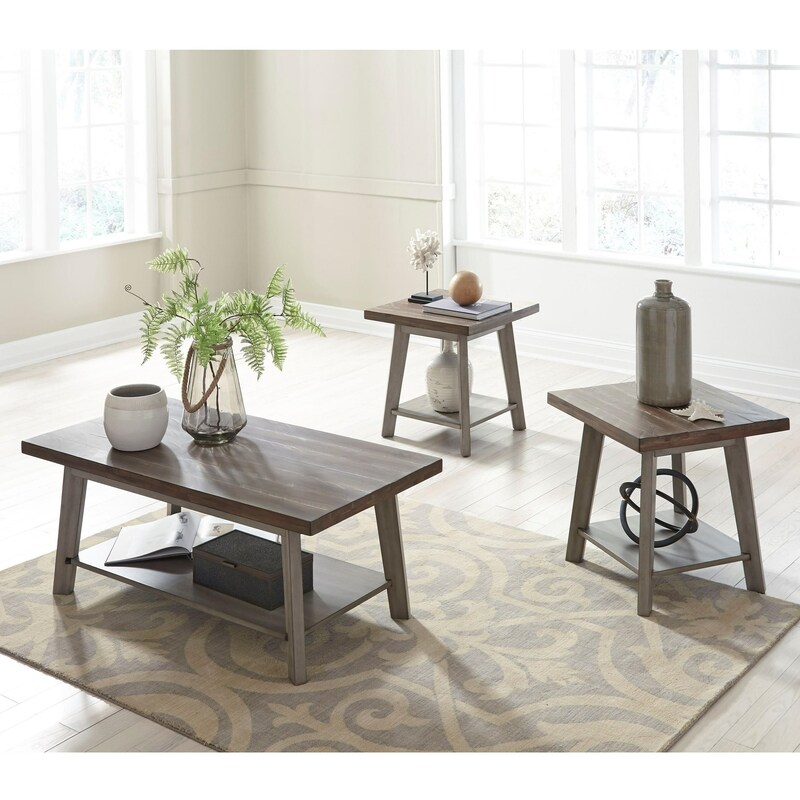 This set of occasional tables is the perfect way to add easy-going style and convenient storage space to your living room. The set includes two end tables and a cocktail table, each with slightly angled legs supporting a clean, squared top and a shelf. A soft two-tone finish complements the amiable design. The Fairhaven Three Piece Occasional Set with Two-Tone Finish by Standard Furniture at Miskelly Furniture in the Jackson, Pearl, Madison, Ridgeland, Flowood Mississippi area. Product availability may vary. Contact us for the most current availability on this product.